Luke Stuttard, of Hogarth Road, Ipswich, was convicted today, Friday 29 March, at Ipswich Crown Court after he pleaded guilty to one count of burglary. He was given a five year custodial sentence and was ordered to pay a £170 victim surcharge. It follows an incident during the evening of Sunday 13 January this year, when a property in Medway Road was broken into. A rear glass patio door was smashed and a set of keys were stolen from within. 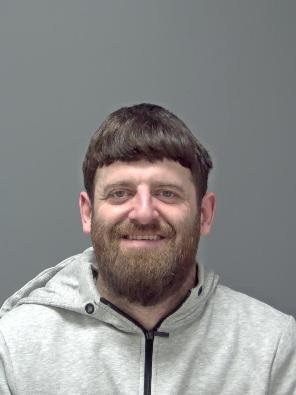 Stuttard was arrested on Thursday 24 January in connection with the incident and was taken to Martlesham Police Investigation Centre for questioning by detectives and was subsequently charged on Friday 25 January with burglary. Between being charged and being dealt with at court, Stuttard chose to work with officers from Suffolk police’s Operation Converter team and went on to admit 12 other offences. They were believed to have taken place between 3 January 2019 and 23 January 2019. These included nine burglary dwellings and three burglary other buildings. Over £60,000 worth of items were stolen and in the region of £14,000 worth of damage was caused. During one of the burglaries, on Friday 18 January, in Sandringham Close, Ipswich, a property was broken into and a door was smashed. A number of items were stolen including a set of car keys, a white Ford Fiesta as well as a TV and jewellery. Another property in Brookview, Belstead, was also broken into on Thursday 17 January, and a number of items were stolen including jewellery, a set of car keys and a Mercedes E220.